Volvo Philippines, the local authorized distributor and dealer of Volvo cars in the country, has lowered the prices of 2018 models in accordance to the government’s Tax Reform for Acceleration and Inclusion (TRAIN). “We look forward to the advantages that the new tax reform program will bring. This new Tax scheme allows us to price more competitively in the premium car market, giving Volvo a clear pricing advantage”, says Christopher L. Yu, Marketing Head for Volvo PH. 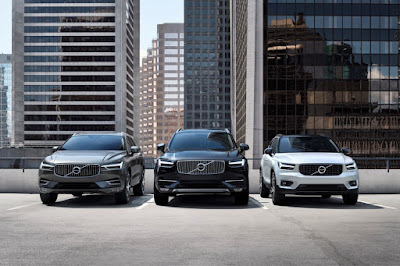 With TRAIN being friendlier on electric vehicles and hybrids, Volvo Philippines is taking the lead and has announced that the Philippines will get the Swedish car maker’s range of hybrids and electrified models within the year. “Care for the environment has always been Volvo’s core value. Even before becoming green became trendy, Volvo has already led the way in creating cars that are safer not only for people but also for the environment. We are proud to be bringing to the Philippines Volvo’s latest range of hybrid and electrified models this 2018,” adds Yu. Additionally, Volvo Philippines will study the feasibility of bringing in Volvo’s fully electric vehicle into the country which is slated to come out in 2019 based on the Scalable Product Architecture (SPA) platform. “We remain committed to sharing our knowledge to advance traffic safety and sustainability efforts. We understand that our customers want safer, sustainable, and more convenient cars. This is why we have a culture of cooperation with other stakeholders in looking for solutions that will help in making our cities cleaner, safer, and smarter. We are confident that our next generation Volvos are capable of doing so”, shares Atty. Alberto B. Arcilla, CEO and President of Volvo Philippines. Sadly with Volvo, when it's time to move on, there are almost no takers for a 2nd hand Volvo kahit sobrang bagsak presyo. Their designs are decent pa naman. Why does Volvo able to decrease their prices incompared to the other European vehicles with similar prices such as BMW who increased their prices instead????? Regarding the pricing of European cars here versus the US...you have to understand that taxation plays a part but so does volume, shipping, etc. This is why there’s a discrepancy in pricing of cars here versus the US. Still, it's pretty weird that Volkswagen and Peugeot manage to have prices somewhat close to what they go for in Europe. The price gulf between them and the Euro prestige brand's such as Benz, BMW and Audi isn't even that large in the UK at just a couple thousand pounds (a couple hundred thousand pesos) between comparable vehicles. While in the Philippines, the gulf is in the millions of pesos.